This phone is really hard to use, not easy to use at all! At least, compared to smartphone today, this phone is complicated! tito, 20 Jul 2014I owned a palm centro,can this phone activated in my country? Can i get its battery and can it be activated in Uganda? I can't find the charger port. del, 18 Jun 2014how can I activate my country sim card in my palm centro os5.4.9 phoneI owned a palm centro,can this phone activated in my country? 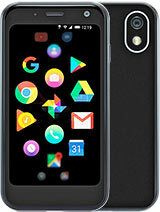 Palm Mobile Ruf & Tuf Mobile.I Use 4 to 5 Years ,Very Good PALM CENTRO Products.Internet Web browsers is very fast,Microsoft word ,Excel,Power Point & other text Format & pdf Format File Open Google Earth is very good Faster Working & Battery Backup 2Days & Fast Charging Facility. bernice, 25 May 2012i want to surf the internet on my palm but the problem is everytime i connect it keeps on canc... moredial out 611 and get them to reset the connection. It has happened before to me. i want to surf the internet on my palm but the problem is everytime i connect it keeps on canceling what's wrong with my palm centro???? Bo, 19 Jul 2011Can anybody help? I love my palm, but after I transfered my pictures to my pc two days ago it... moreDo a warm reset. Just take off the battery, put it back and keep pressing the UP button until the logo page ends. Can anybody help? I love my palm, but after I transfered my pictures to my pc two days ago it keeps trying to connect to my pc by itself every few minutes. How do I get it to stop?! Total of 243 user reviews and opinions for Palm Centro.